An amazing tropical paradise with white sand beaches and turquoise waters, the Maldives are formed by the number of natural atolls with 1,192 islands and isolated reefs that today form a necklace of 26 coral atolls stretching in the Indian Ocean between Sri Lanka and the equator. Atoll located at the northern end is Haa Alifu, the southernmost atoll is Addu (Seenu). 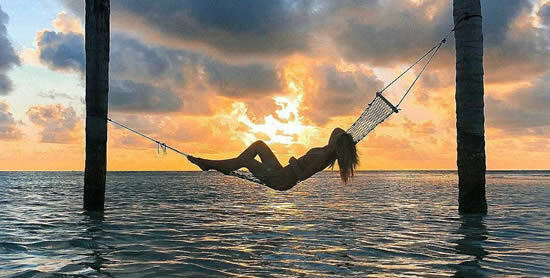 The smallest of all Maldives' atolls is Gnaviyani atoll. Gaafu Alifu is the largest in the Maldives archipelago and the world's largest atoll. Each atoll consists of a variety of islands, including inhabited, private resorts, and uninhabited. 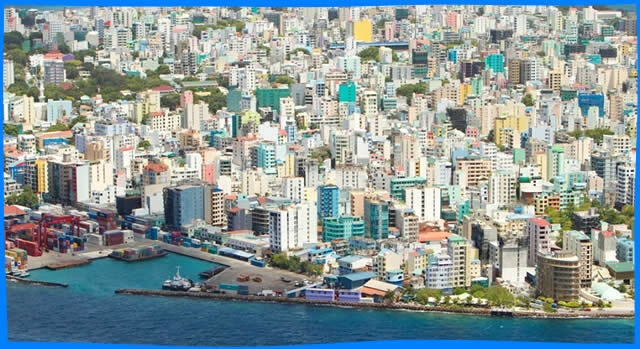 South Male and North Male Atolls form the Kaafu atoll - the most popular place to stay in the Maldives because of the large selection of accomodation and due to easy access by boat from the Male airport, other islands require a transfer by seaplane. Shaviyani atoll is one of the northern island groups of the Maldives lying about 270 km north of Male airport. Expect are a chic and stylish resorts, ideal for those who want to get away from it all. Shaviyani Read More Male is not only in the country's heart, but has always been the capital of the Maldives, from century to century from the Sultan's palace, and then from the president's office. 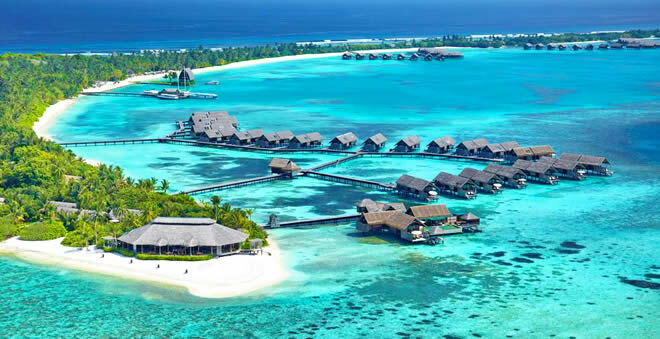 The tiny but densely populated city of Male Read More Some of the best hotels and resorts in the Maldives are already included in this list, and the good part of them offers the best prices. We will constantly add new hotels, so regularly check for the best deals Read More..